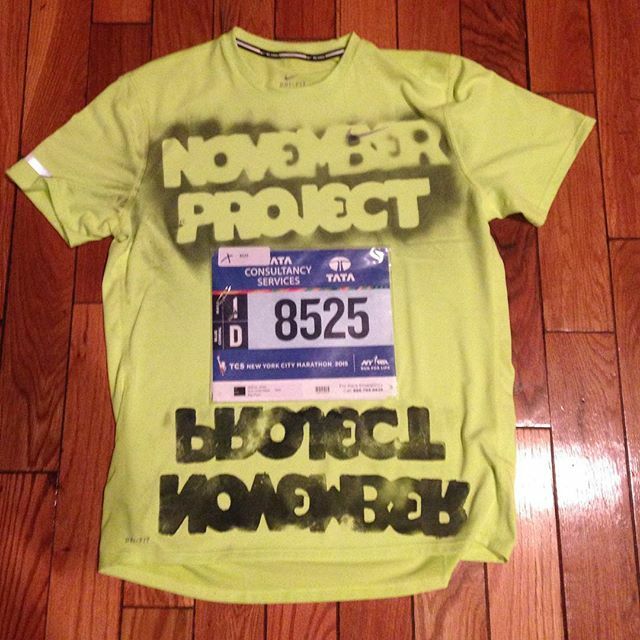 I’m going to break this entry into two parts: This morning’s November Project NYC workout, and my random marathon thoughts. Woot! Neon is the way to go! So . . . Paula Radcliffe, Bart Yasso, Desi Linden, and Dean Karnazes worked out with us this morning. What?! No big deal. Also, Brogan Graham, one of November Project’s co-founders, pounded out burpees, push-ups, dips, lunges, and bear crawls with us because #justshowup and #whatisthis. We also had lots of people in town from other Tribes for the marathon. Just awesome to see so much NP love this morning! 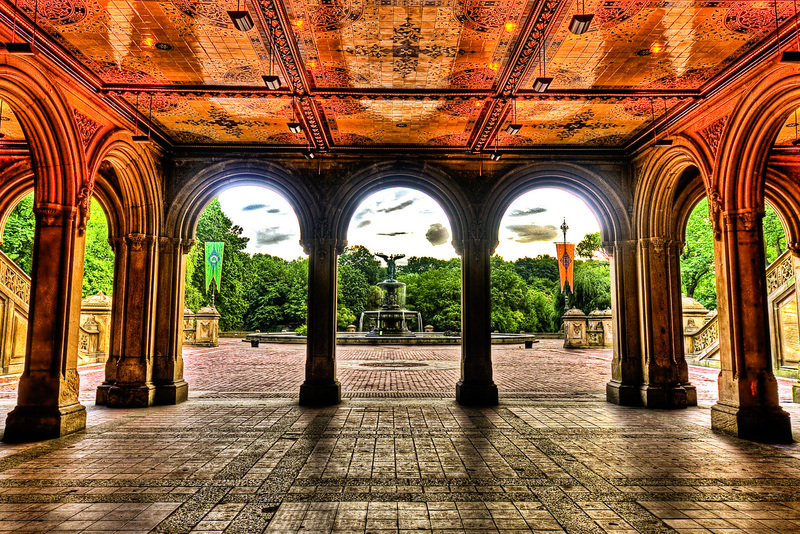 Bethesda Fountain, much brighter than it was this morning. The workout consisted of two phases: During phase 1, we broke into two large groups. Both groups began by doing 20 burpees. 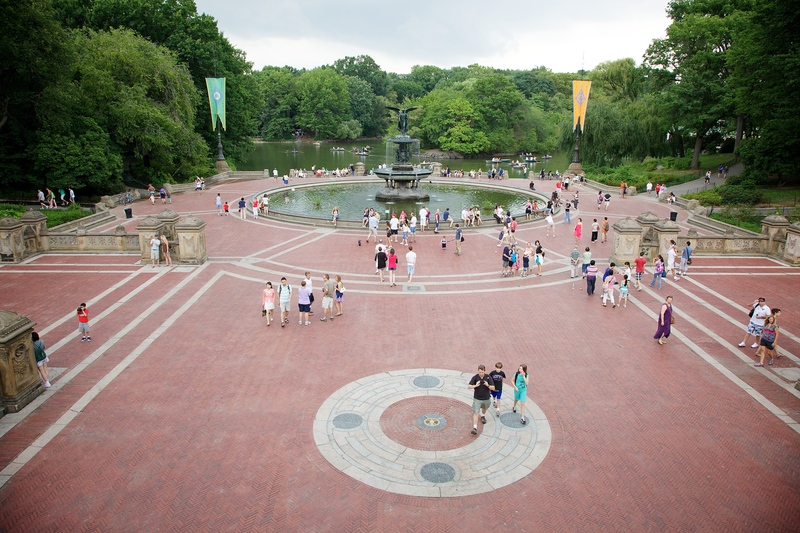 Then Group 1 lunged through the terrace near Bethesda Fountain in Central Park while Group 2 bear-crawled. At the end of the terrace, everyone ran up a flight of stairs and then bunny-hopped up a second flight. Then everyone did 10 push-ups, 10 dips, and then back to the beginning for more burpees. Repeat for 20 minutes. Most of us NYC marathoners took it easy, and I got to do push-ups with Brogan and meet some members of the NYC Tribe that go to the 6:28 a.m. Wednesday workouts (I’m generally a 5:28 a.m. guy). There is something wrong with me when I think that 60 burpees is an easy, pleasant way to start the day. I’ve written race previews about my other recent races, but the NYC Marathon needs no introduction. I outlined the course in my pace strategy post, and all of my posts about training have essentially been about training for this race. I believe that, considering my injury which kept me from running between April and June 25, I trained as well as I could, and I am ready to run a solid race. Of course, doubts have crept into my mind. During my 22-mile long run, I felt the burn in my legs at mile 21. I also did not log tons of miles, peaking at about 50 miles in my peak training week. These two facts could lead me to be concerned that I am not ready to run this marathon as fast as I want. During those early weeks of marathon training in July and August, I was still returning to running after injury. During that return period, with the support of my doctor and physical therapist, I was biking upwards of 100+ miles per week as I prepared for the NYC Century Bike Tour. Also during the pre-return and return period, all the hours I spent in the pool, which, combined with my time on the bike, helped me build a solid aerobic base on which to begin marathon training. My solid performances in the Bronx 10-Mile (6:02/mile pace) and Staten Island Half (6:10/mile pace, with a strong sense that I could have run slightly faster if not fearing for my life on the boardwalk). Maybe most importantly, all of the love and support I have received from my family, friends, girlfriend, NP_NYC, coworkers, and what I might call the Spirit of the Universe, or, in a less spiritual sense, the feeling that I’m not in control of the world, and that my lack of total control is OK with me. More thoughts to come tomorrow. For now, happy Friday and, if you can (I’m having a hard time), think about something other than the NYC Marathon. ← 10/28/2015: Morning Workout, November Project, 5:28 a.m., Wards Island: Aggressive Dance Moves! I am having a hard time thinking of anything other than the race, too! Best of luck, and enjoy it.